The main goal of every administrator is to automate most of the daily routines that consume much of the allocated time that could otherwise be spent researching new technologies or ways on how to improve the current system. A user will be away from the office and needs to synchronize or access his/ her mailbox from abroad. This will consist of the user either obtaining a good internet connection where the mailbox can be accessed directly or making an offline local copy of the user’s whole mailbox on the laptop every time the user needs to go out of the office. This can be a pretty time consuming procedure that will need to be done each time for every user. This will also increase the phone calls to the administrator at inconvenient times about either connection interruptions or in the event that the user cannot access his/her mail. Users will have reached their email limit and their mailboxes are full. The administrator will get a lot phone calls and requests to increase the size of the mailbox or support calls of undelivered mails. This will create problems with users having large mailboxes full of emails where maintenance and server performance can be affected. If users create a local copy of the mailbox so that they transfer emails from the mailbox to a local PST file, it will be a hassle to create scheduled tasks to backup the user’s local PST files. Searching in large mailboxes can be slow and can drastically affect the mail server’s performance. Having 100 or more large mailboxes means that a user’s search for a particular email will have to go through thousands of entries in each mailbox which will lead to a drastic decrease in performance. Users having the problem of retrieving emails which were deleted from the mailbox. The administrator would have to retrieve the emails from the daily or weekly backup to the user’s mailbox. This is very time consuming, especially because the administrator has to go through the backups and retrieve only the needed emails from the backup mailbox. As you can see the daily job of a mail server administrator is not always productive as it is mostly taken up by user issues and requests. Automation or user interaction to sort these daily issues would increase the productivity of the administrator and it will supply a real-time solution for the user. GFI MailArchiver archives every email from the Journaling mailbox into a database. 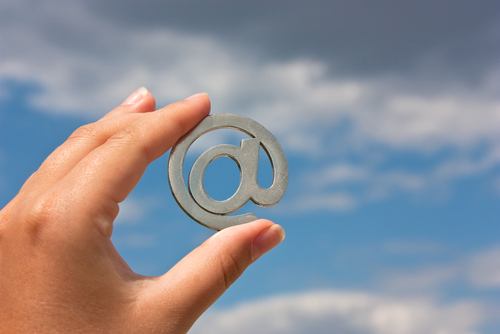 The emails stored can be viewed, searched and categorized by a user friendly interface. An email can be tagged with frequently used keywords for better lookup. The user has the possibility to find a deleted email (since every email is archived) and can either download or save that particular email. Also for portability, the user can install the Outlook Connector which is a companion of the mailbox where the emails are synchronized with the GFI MailArchiver server. The emails can be downloaded for offline use with a defined number of days. This way the administrator does not have to backup the user’s own PST files; does not have to retrieve any emails from the backup since all emails can be retrieved via GFI MailArchiver; does not have to worry about mail server performance due to the ability to search over thousands of emails using just GFI MailArchiver. All of this can be done with minor interventions from the users in a user friendly environment. Decrease an administrator’s stress on mail server administration, increase productivity and promote a hassle free operation with just one product. Great article Noel. Another important thing to remember is the difficulty for administrators to backup and control the use of user PST, regarding backups and information theft. With MailArchiver we have all the benefits of the offline availability of email messages without the risks. Given that this is a GFI blog, I can’t fault you for pushing MailArchiver, but the rest of the article is… erm… lacking in knowledge. Users away from the office: Outlook Anywhere. Automatically creates an offline copy of the mailbox for use anywhere and uses encrypted channels when communicating. Set it up globally using Group Policy (see MSKB961112). Email limits & PST files: User education. Inform the users that there are limits on the mailboxes and why they are there BEFORE they come complaining. Alternatively, disk space is cheap, so it is almost unreasonable to impose mailbox limits nowadays. This will also negate the need to “archive to PST”, negating the need to back them up. However, storing a PST on a network drive would enable the server to back it up. Offline files can be used to maintain a locally cached copy if the registry is tweaked. Only once have I allowed PSTs within an organisation, due to pressure of the directors. Server performance should have been taken care of with capacity planning. Searching in large mailboxes: A single user searching his/her own mailbox using Outlook will NOT consume server resources. Indeed, with Instant Search, results are just that – instant. An administrator searching across several mailboxes will consume server resources though. However, as the items are indexed in Exchange, the resources utilised in searching are not excessive and should be accounted for by proper capacity planning. Deleted emails: Exchange retains copies of deleted emails for a period defined by the administrator. If the administrator is having to rely on backups to retrieve emails, then the retention policy is set incorrectly. Once again, capacity planning is the key. So, if your administrator has planned and configured the system correctly and he/she is still run off his feet, then by all means investigate MailArchiver: it’s more cost-effective than employing a second administrator.